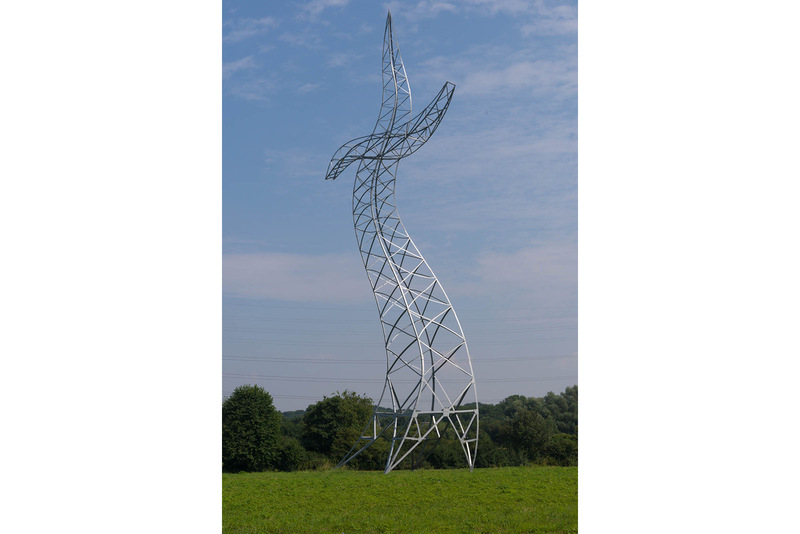 An electric pylon steps out of line. 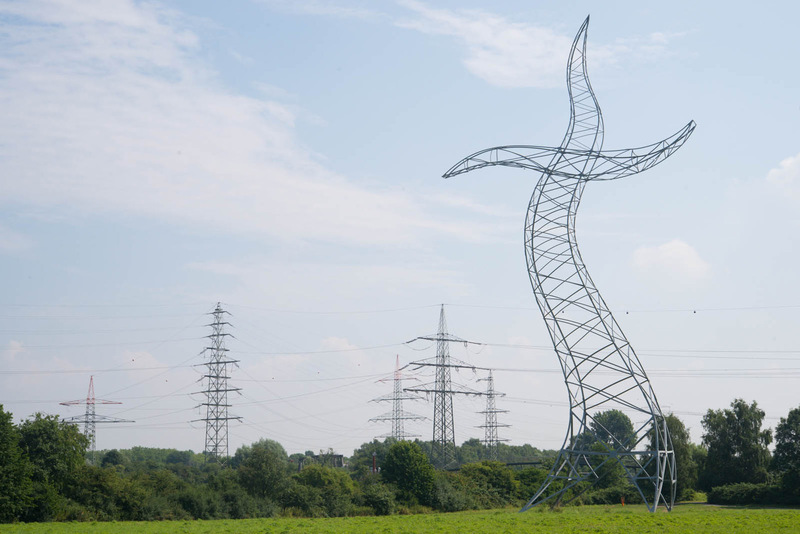 The pylon’s ‘escape’ into freedom interrupts the flow of electricity, and yet – the pylon itself appears electrified. 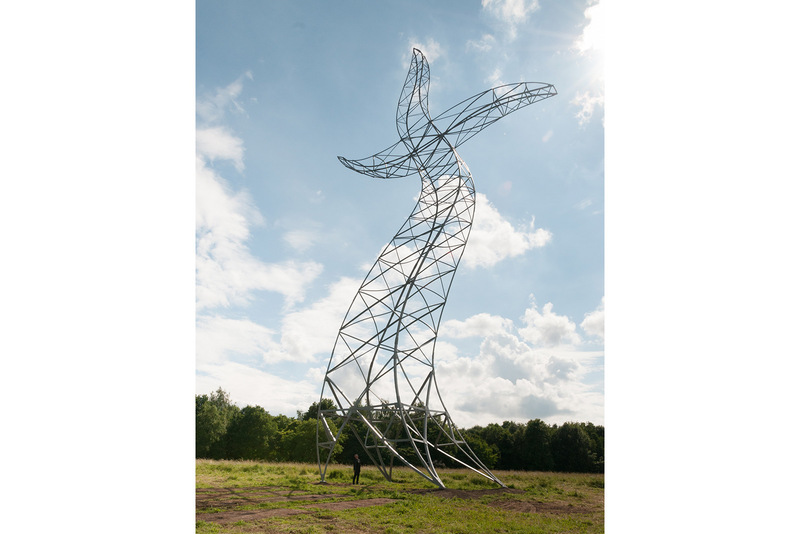 Its flowing form is reminiscent of a human figure and echoes the conjured spirit from Goethe’s Zauberlehrling (‘Sorcerer’s Apprentice’), which defied the apprentice’s control. Equipped with unfathomable energy – as there are no visible connecting lines – it stands alone and energised in the middle of a green field, far removed from its intended functionality and purpose. 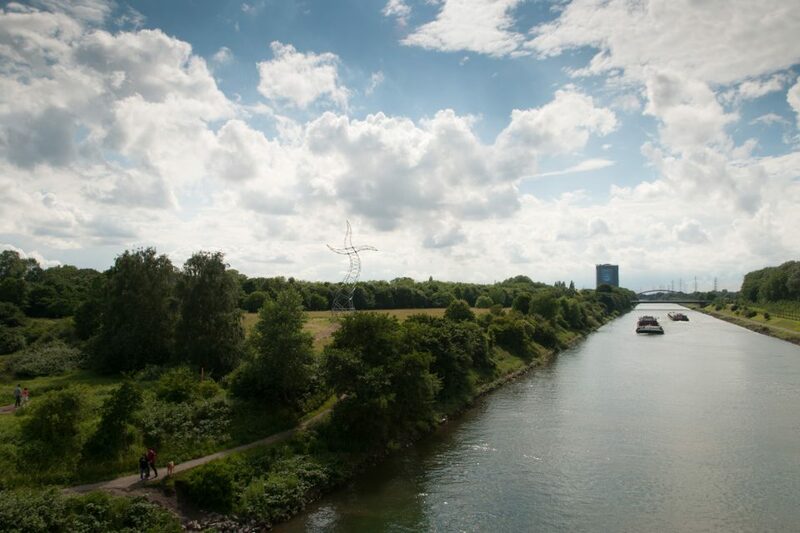 The stage for this rebellious dance is set in a region marked by heavy industry, and raises new questions for the future in our time of climate change and re-evaluation of our energy sources, while also bringing back memories of the illustrious past of the Ruhr region. 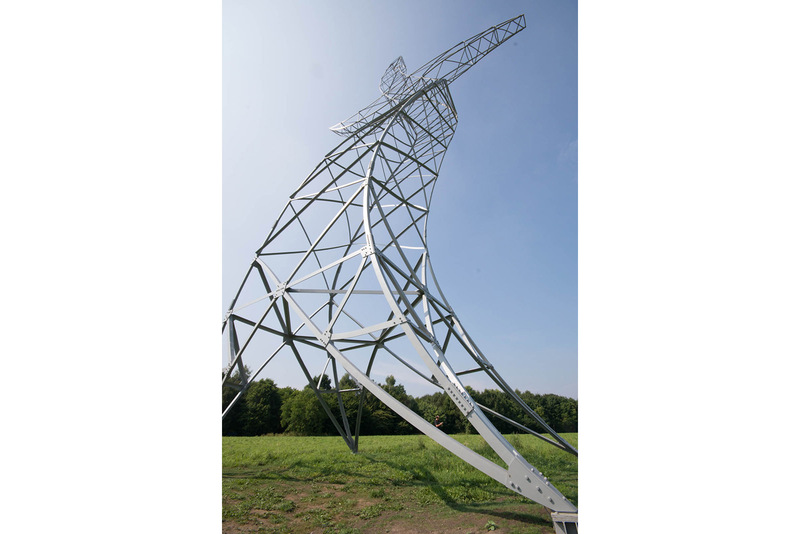 Manufactured of steel profiles and reaching an overall height of 35 metres, the sculpture essentially mirrors the lines of a regular electric pylon. All of its component parts, however, have been redrawn and manufactured in such a way as to imbue the object with apparent motion.